The LG Optimus L3 will hit the shelves across Europe in March – that is what the Korean tech giant just announced officially. For those who need a refresher, the smartphone belongs to LG's new L series of Android handsets, touted for their stylish design. However, even though its appearance is something we quite like, as we shared with you in our LG Optimus L3 hands-on review, the L3 is the most boring of the bunch when it comes to specs. It can hardly be considered a mid-range smartphone as it comes with a modest 3.2-inch QVGA display and an 800MHz processor. On its back we have a pretty basic 3.0-megapixel camera, and a front-facing shooter is nowhere to be seen. Well, at least you get a 1,500 mAh battery, which is pretty good considering the device's presumably low price point. 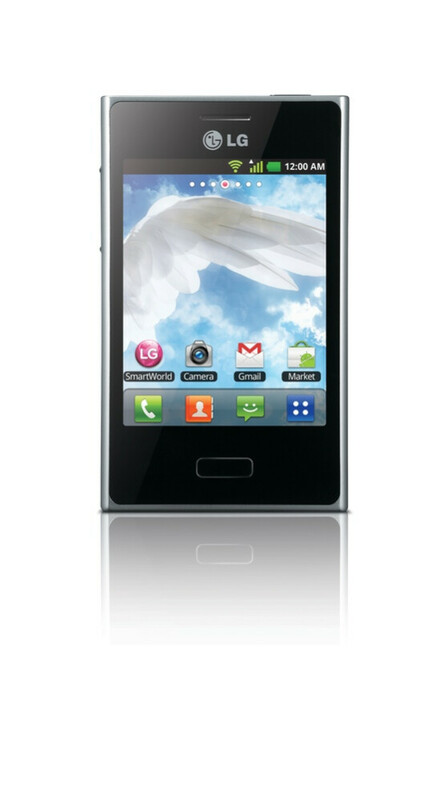 After its European launch, the LG Optimus L3 will be released in Russia and Asia, followed by other markets around the world. Anyone thinking of getting one? Probably not. The price of these new low-end droids would be enough to get you an Optimus 2X is some markets. Probably for my 7 y.o. boy i'll get one. at 125ppi,the screen of the l3 will look horrible.get a galaxy mini 2 instead. there's phones in that picture? I like the GIRL more than the PHONE! !